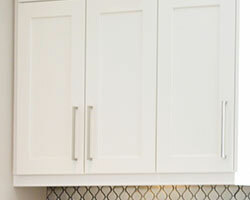 Cabinet refacing is a great way to give any kitchen a whole new look without having to undergo a major remodelling project. It involves keeping the layout of the current kitchen, but replacing the cabinet doors and drawer fronts. For a more dramatic transformation, handles, hinges, and drawer slides can also be upgraded or customized. Classic design echoes through the ages with our Traditional Door Collection; our most popular design inspiration. With a warm and luxurious feel, these doors use natural colours and beautiful detailing to create timeless style. Our Transitional Door Collection takes inspiration from both traditional and contemporary designs. By seamlessly infusing these elements, these doors marry classic style with and modern simplicity. The most modern design elements of clean lines and designs are the inspiration for our Contemporary Door Collection. We focus on high-quality products while incorporating the latest trends to create a sleek and captivating style. The most modern design elements of clean lines and designs are the inspiration for our Contemporary Kitchen Collection. We continue our focus on high-quality products while incorporating the latest trends to create a sleek and captivating style. Carefully measure the existing doors and document the heights and widths in either inches or millimeters. Our order managers will need this to determine the dimensions of the new doors. Select the new look from our offering of doors, hinges, drawer slides, hardware, and accessories. Remove the old cabinet doors from their cabinet boxes. If they are still in good shape, these doors can be brought to Habitat for Humanity or otherwise recycled. Attach the new doors and hardware to the cabinet boxes or have one of our affiliated installation experts do it for you. They make beautiful doors. Need I say more? I guess so... Superior craftsmanship, reliable turn around time (always 2-3 weeks) and helpful staff. They'll do custom profiles too if you've got the budget. Solid hardwood, MDF CNC, whatever you want. Stop in to the showroom and see all the samples. I'm at the point now where I just email my door orders and pick them up 2 weeks later ready to finish with paint or stain. They've never goofed up an order once! Marbel has a huge variety of cabinet designs available and can accommodate a range of budgets. We chose birds eye maple because of its unique quality & beauty. They went out of their way to ensure that both the wood and finish were top quality. The cupboards have a satin finish that feels unbelievably smooth to the touch. We also chose soft close drawers and are very pleased with them. Hinges are precise and function with fluid ease. These cupboards are absolutely stunning and we love them! Many thanks to the team at Marbel for both their valuable input and diligence in ensuring a top quality product. 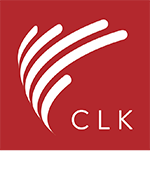 Browse our Cabinet Doors page for detailed lists of our different types of inventory. 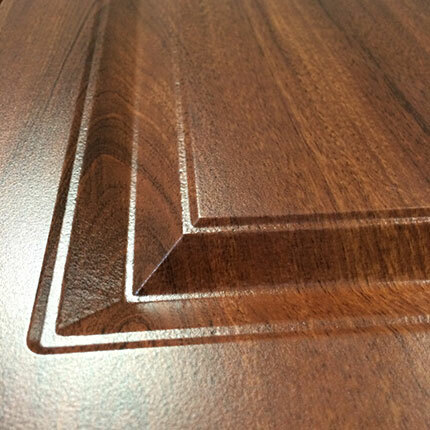 You will also find specific information on our available doors such as profile diagrams, wood species and finishes. 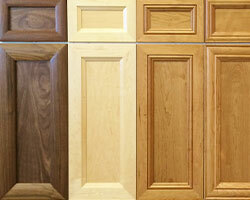 Want to know more about refacing options? Call us or stop by our office to learn more.